Ben joined the firm as a law clerk in the spring of 2017. 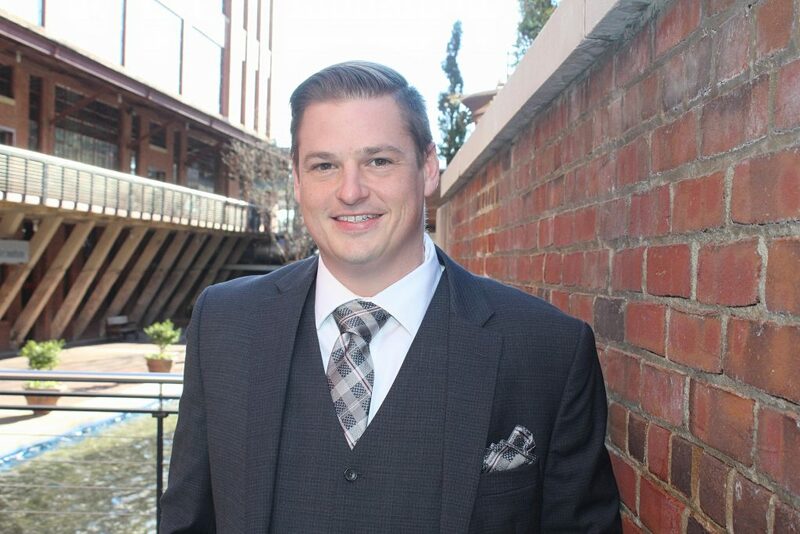 Choosing law as a second career, Ben has an extensive variety of work experience, ranging from smoking hogs at a barbecue joint during high school, to teaching as a welding instructor at a community college in Eastern North Carolina. A native North-Carolinian born in Greenville, Ben’s easy-going personality and down-to-earth character are just a few of the reasons he has thrived at Pierce Law. Ben’s broad work background, which includes experience in manufacturing, industrial construction, and trades education, has provided him with a thorough understanding of how to deal with both public and private employers. Ben has a solid grasp on policies and procedures that govern occupational licenses, and his work experience has refined his interest in making sure that the rights of those holding licenses are protected. In his free time, Ben enjoys playing guitar, hiking, fishing, and spending time with friends and family at the beach. He also listens to all types of music, and never misses a chance to see a live show at one of several local venues. A graduate of East Carolina University, Ben received a Bachelor of Science in Applied Geography in 2012. He graduated from North Carolina Central University School of Law, where he was actively involved in the Law Review as a Senior Editor. Ben has primarily focused his study of law into administrative practice, where he represents individuals facing disciplinary issues in front of occupational licensing boards. Ben also handles some Social Security disability cases as well.